This year Metropolis celebrates Halloween sky-high on the 52nd floor. Buy your tickets online here to receive a gift bag from our sponsors, plus the chance to win something extra special (it’s a secret). It’s time to wiggle into your costume and put on your dancing shoes: we cordially invite you to our annual Halloween party. 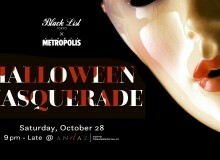 This year Metropolis has collaborated with Black List Tokyo, a worldwide event company known for its premier parties. We promise you quality entertainment and great prizes, as well as life’s simple pleasure to drink and dance in a costume among other costumes. 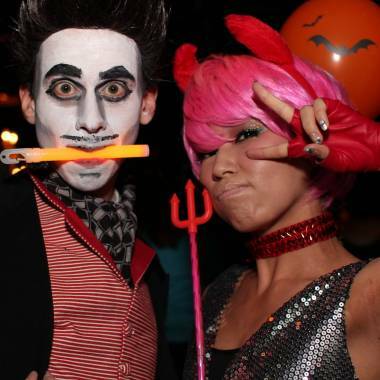 Every year, our Halloween party attracts A-listers, business professionals, and dancefloor enthusiasts alike. Behind the mask, you could be anyone. We will take over the 52nd floor of the stylish 5-star Andaz Tokyo hotel in Toranomon Hills. Spectacular views over Tokyo are guaranteed, and a similar view over a crowd of beautiful people is highly likely. 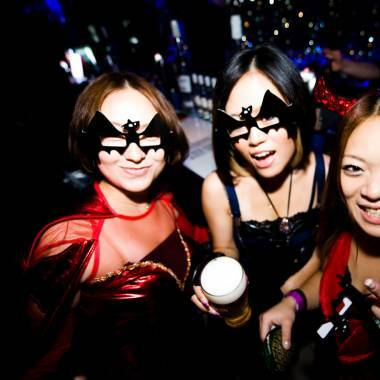 The theme is Behind the Mask, but this doesn’t restrict you to choose a costume without one. Go for a classic costume, wear something witty, or flaunt what you’ve got. Entry is ¥3,000 and tickets can be bought in advance online here. We’ll let you in on a secret… by purchasing a ticket online, you’ll receive a gift bag from our sponsors as well as the chance to win some extra goodies. You can also book VIP seats, just ask the ladies and gentlemen at info@blacklisttokyo.com. 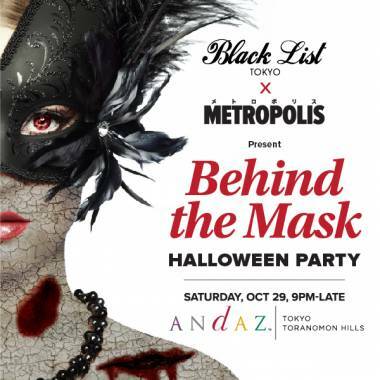 We look forward to seeing you there… if you can recognize us behind the mask. 9pm-late. Saturday, October 29. ¥3,000. Andaz Tokyo, 52F 1-23-4, Toranomon, Minato-ku. Closest station: Toranomon.